Charger II-SF | Ray-Man, Inc. The Charger II-SF Side-Discharge Tender is efficient, unloading up to 4,000 pounds per minute. 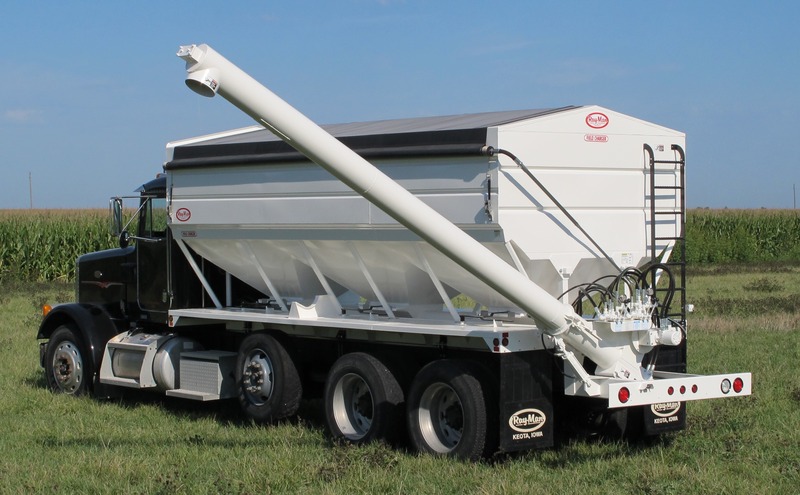 The discharge auger rests on the fender for safe and easy transport. A hydraulic cylinder folds the discharge tube out to the unloading position. Another hydraulic cylinder raises or lowers the discharge tube to the desired height. All of the augers are available with optional stainless steel flighting as well as stainless steel pipe.